"Old-time rural music remains at the center of my life. It's a tactile, emotional, aural pleasure — the words are my Shakespeare and my mysteries, the music is my Bach, my pastime, and it makes me want to dance... Classic, timeless qualities in this music endure. For me, there ain't no way out but nature, and I'll make the most of it." 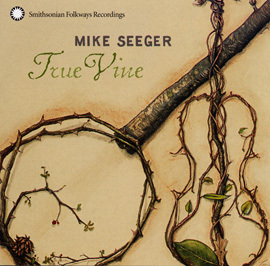 Mike Seeger, who devoted his life to documenting, teaching, keeping alive, and carrying forth the sounds of traditional music of the American South, died from cancer August 7th, 2009 at the age of 75. 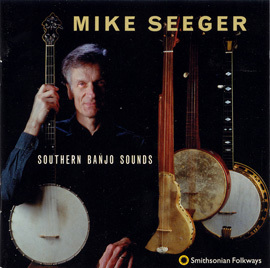 Almost more than any other individual in the last sixty years, Mike Seeger (1933–2009) was a crusader for documenting, teaching, keeping alive, and carrying forth the sounds of traditional music of the American South. A singer and proficient instrumentalist, Seeger learned to play banjo, fiddle, guitar, Jew's harp, harmonica, quills, dulcimer, mandolin, and autoharp. 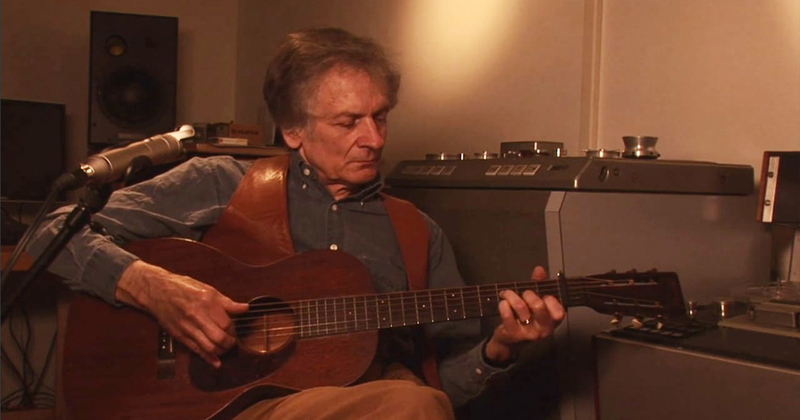 As a musician he recorded extensively, with a rich discography on Folkways Records and Smithsonian Folkways Recordings as a solo artist and also as a member of the folk revival ensemble The New Lost City Ramblers. 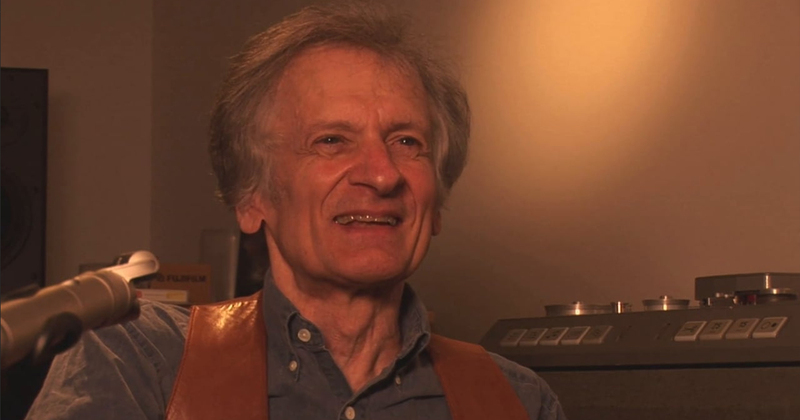 As a collector he captured the sounds of such seminal artists as Elizabeth Cotten and Dock Boggs, and he edited and compiled collections of material by many others, both obscure and well known. And finally, as a historian and preservationist of the music he called "old time," Mike Seeger told the stories behind the music that is an essential part of American culture. As he explained at the beginning of a performance at the John F. Kennedy Center for the Performing Arts in Washington, D.C., in April 2003, Mike didn't think of the songs he played as "covers." Instead, he regarded them as "classic, old time, traditional folk songs" that were constantly open to reinterpretation. In a piece on his Web site entitled "What is Old Time Music?" Mike lamented the lack of recognition that the description "old time" music gets from the general public, in contrast to "bluegrass" or "country," for example. While these generic labels work well enough to describe familiar musical genres, Mike discovered that his own music required him to "take a minute to describe the place and time that [the] music existed in and now exists in." To Mike, music was not merely an aesthetically pleasurable experience but also a rich vehicle for history. And though he made great strides on his own in bringing an awareness of "old time" music to the world, there is little doubt that his appreciation of the old folk musics of America began very early in life. Mike Seeger photographed in Nashville in 2006. The environment in which Mike was raised was certainly conducive to nurturing the talents of a budding musician and audiophile. Born in 1933 to parents Charles and Ruth Crawford Seeger, both prominent composers and ethnomusicologists at the vanguard of this emerging field, Mike was one of several children raised on a steady diet of folk traditions. His younger sister Peggy recalled being enthralled by their mother's excitement for composition and performance, and described their house as a hotbed of musical activity. "Exciting people were always dropping in," she remembered, "Lead Belly, Woody Guthrie, John Jacob Niles, Bess Hawes, Henry and Sidney Cowell, John and Alan Lomax, Lee Hays, composers and writers...and, of course, beloved Pete, our tall exotic half-brother, with his long, long-necked banjo and his big, big feet stamping at the end of his long, long legs." According to Peggy, their mother would keep the kids home from school whenever Pete turned up, because, she said, he "was better for us than our teachers." Along with these eminent influences, the children were exposed to the music of Elizabeth "Libba" Cotten, who worked in the family household. In fact, Mike's homemade recordings of Libba Cotten's music, produced in the late 1950s, would become one of the earliest and most influential authentic folk albums of the period. In 1957, with siblings Penny, Peggy, and Barbara, Mike recorded American Folk Songs for Folkways Records. The liner notes to the album, written by the children's father Charles, foreshadowed the future of Mike's career. He described, in broad terms, the movement of folk musics from their "authentic" roots to the commercial surroundings of modern cities, alongside the simultaneous movement of "city" singers' search for an authentic rural folk sound, but he claimed that his children didn't fall into either of these categories. He wrote that he and his wife attempted to raise them away from "the folly of imposing foreign musical and linguistic patterns" on groups to which they are not indigenous—lessons that the young Mike Seeger took to heart. 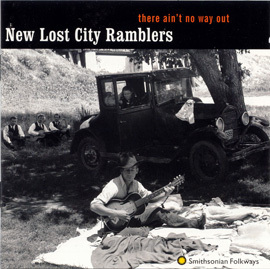 This awareness would become apparent when in 1958, at the age of 25, Mike founded The New Lost City Ramblers in New York City along with fellow musicians Tom Paley and John Cohen. The Ramblers were formed with "the explicit intention of performing American folk music as it had sounded before the inroads of radio, movies, and television had begun to homogenize out diverse regional folkways." The group was a reaction to what its members viewed as the commercialization and slow disappearance of music that existed prior to the advent of modern recordings, and they determined to counteract this trend by making "old time" music in the original fashion. The Ramblers studied all the old recordings they could get their hands on, from 78rpm "old time" and "race" records of the 1920s to Library of Congress field recordings, at the same time traveling the country, performing, holding impromptu workshops, and meeting with local folk artists. By absorbing these sounds, the group created its own revival of music that had been all but forgotten. Throughout the 1960s and into the next decade, the Ramblers developed a following of mostly urban artists eager to inherit and add to the "aural tradition" of old time instrumentals, songs, and genres. Throughout his time with the Ramblers, Mike performed as a soloist, and continued to hone his skills on the guitar, banjo, autoharp, mouth harp, fiddle, and numerous other instruments. His facility on each, and his equally impressive ability to use unique instrumentation to create a mood and setting for each song, made his live performances a treat to behold. Furthermore, the fact that Mike viewed himself not only as a musician but a historian and storyteller of the music opened an entirely new world to his listeners, giving them a cultural and social experience. It is no wonder that Mike was a special consultant for the Smithsonian Folklife Festival, Newport Folk Festival, and other major folk music organizations. He also served as the director of the American Old Time Music Festival and the Smithsonian American Folklife Company and was a Guggenheim Fellow in 1984. Among other honors, he also received four National Endowment for the Arts grants, the Bess Lomax Hawes NEA National Heritage Fellowship in 2009, The Rex Foundation's 1995 Ralph J. Gleason Award, and an honorary membership to the Society for American Music in 2003. 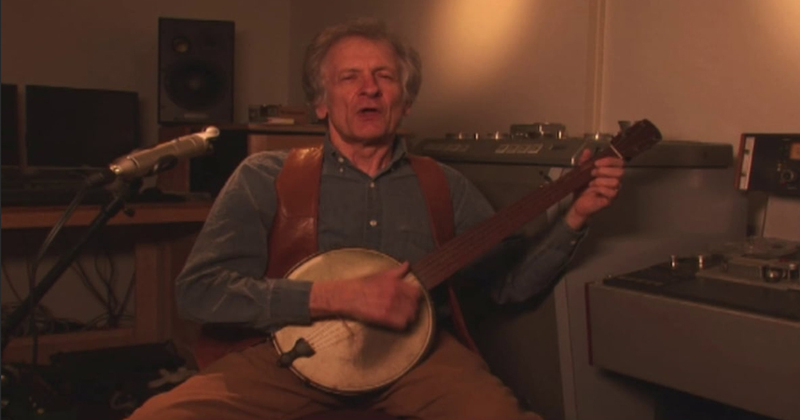 His 1998 Folkways recording Southern Banjo Sounds was nominated for a GRAMMY, as was the New Lost City Ramblers' 1997 album There's No Way Out, on which he appeared. 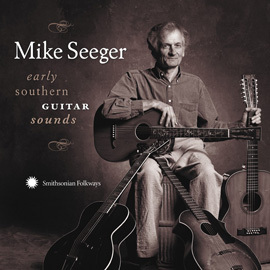 Mike's most recent solo album was 2007's Early Southern Guitar Sounds from Smithsonian Folkways Recordings, which features a variety of styles and sounds played on 25 different guitars. On August 25th, 2009, Smithsonian Folkways will release 50 Years: Where Do You Come From, Where Do You Go?, a box set commemorating the 50th anniversary of the New Lost City Ramblers. Members of the New Lost City Ramblers circa 1995.